Let’s Walk is a free walking program of guided and themed walks for those who are interested in developing a healthier lifestyle. The program offers walks at various locations throughout the week and is coordinated by the New Jersey Bike & Walk Coalition. Regular walking has been identified by health experts and the US Surgeon General as one of the easiest, most accessible and safest ways to maintain health and combat diseases related to sedentary lifestyles. Benefits include boosting energy, reducing stress and risk factors for heart disease, lowering blood pressure and weight, and reducing risk for other preventable diseases related to sedentary lifestyles. 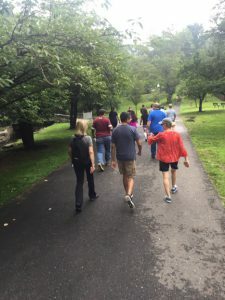 The walks can easily be incorporated into busy schedules on a regular basis; some of the themed walks include Roaming Readers, Walk With A Leader, and walks to farmers markets. During this grant 2016-20107 period, more than 1,600 registered walkers participated in 207 walks. Walks are currently held 6 days a week, with ones regularly scheduled in West Orange, Nutley, Bloomfield, Verona and Montclair. 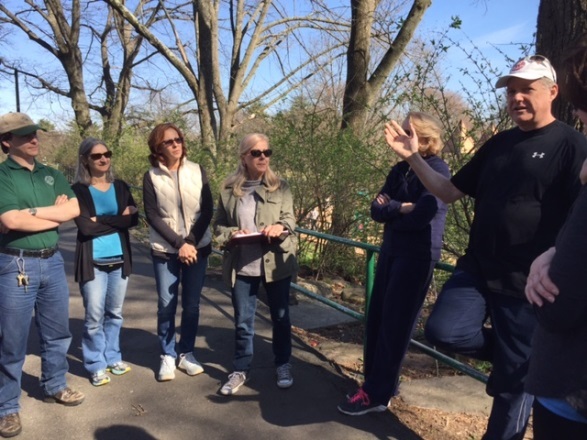 Several regular walks are offered in conjunction with partners that include the Nutley Health Department, Montclair Public Library, Bloomfield Health Department, the Walk With A Doc organization- local chapter, and the YMCA of Montclair. One-time walk partners include Fleet Feet, Davis Integrated Medicine in Montclair’s South End and the NY-NJ Trail Conference.